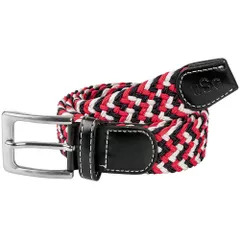 Adult width is 3.5cm (1.3in). 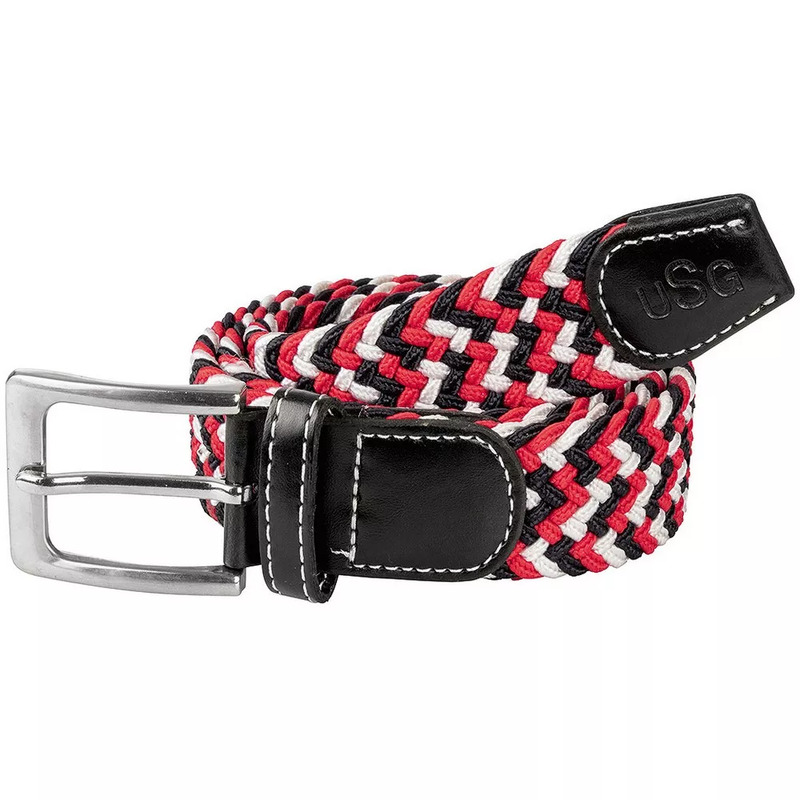 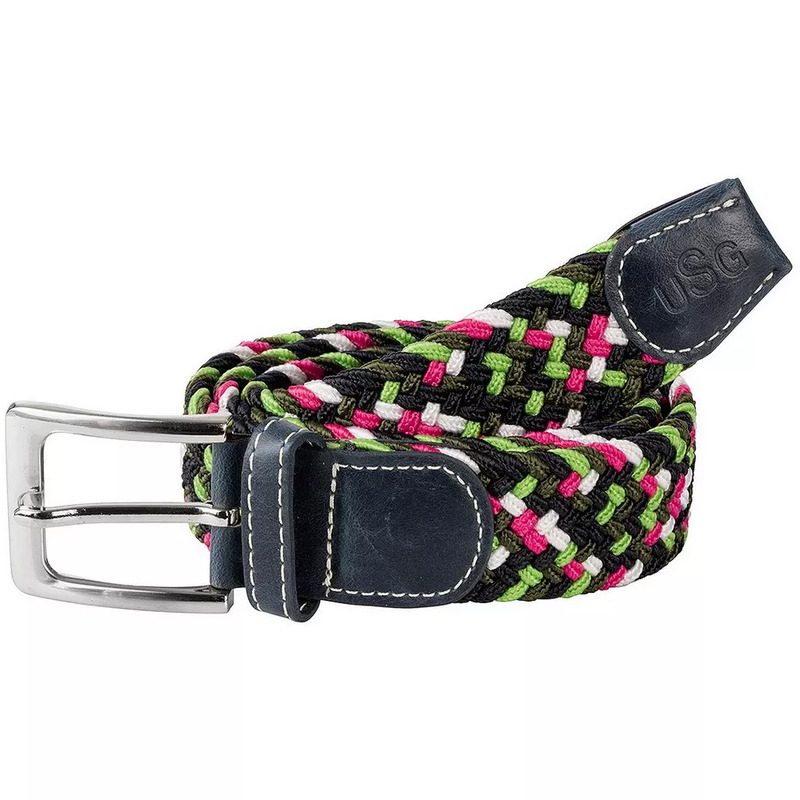 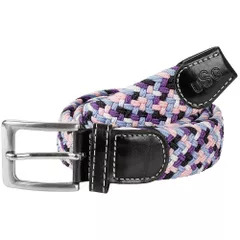 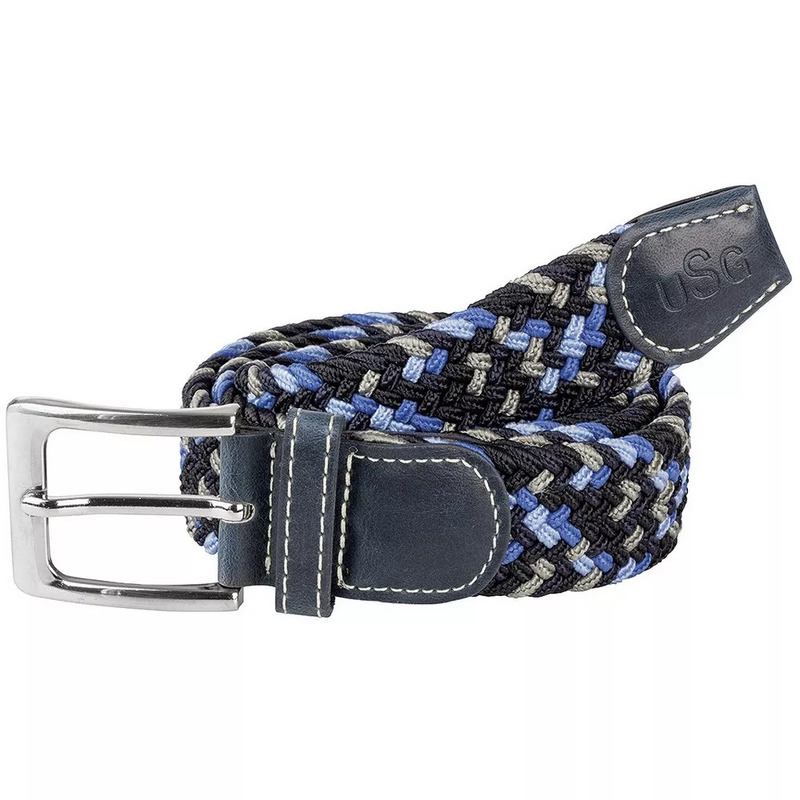 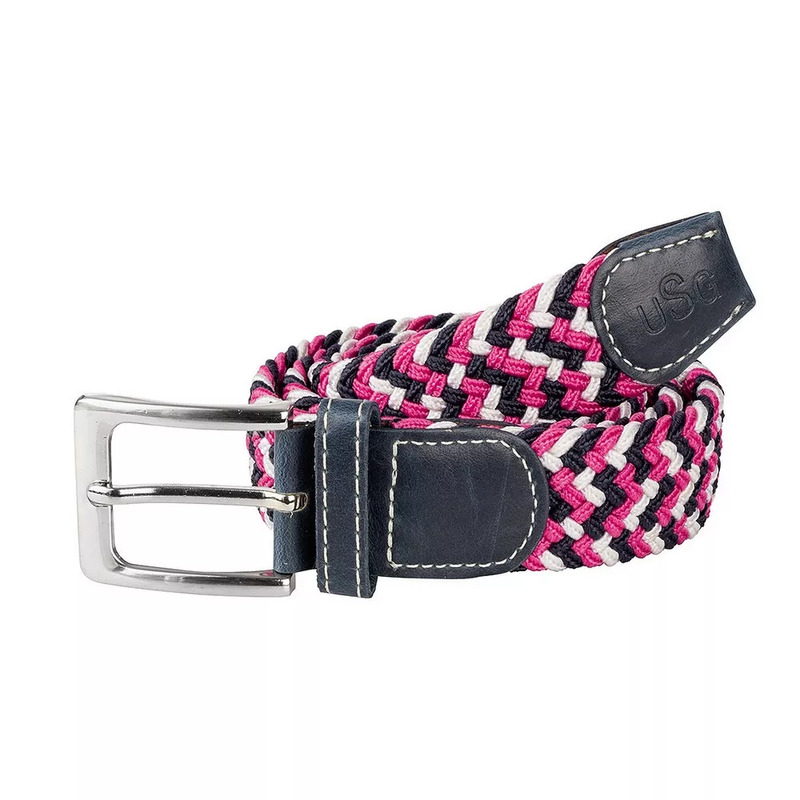 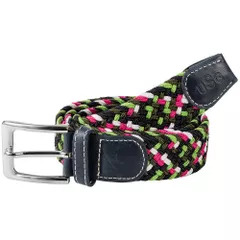 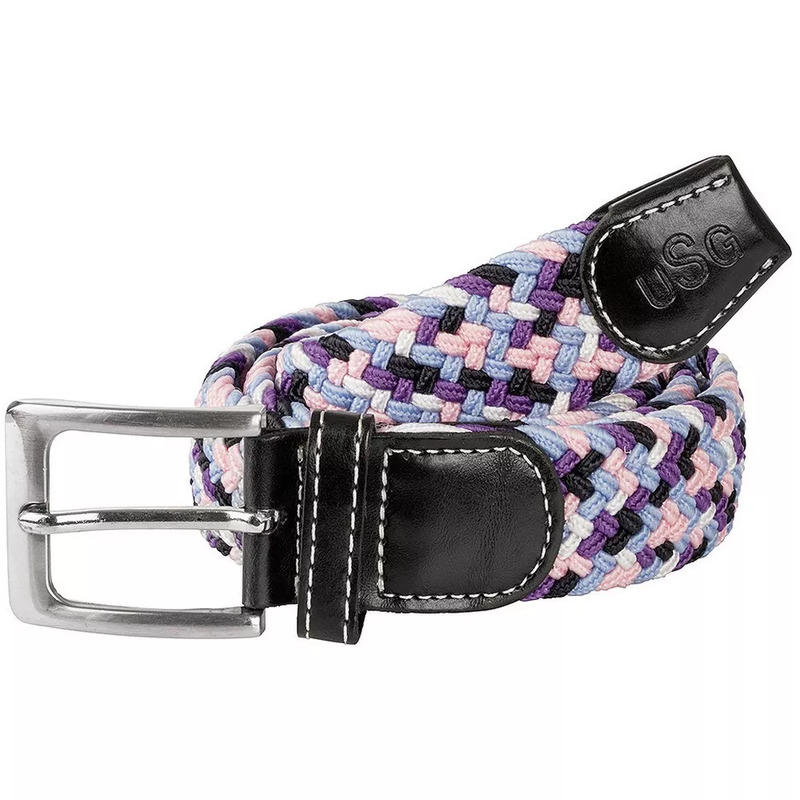 Fashionable belt made of plaited elasticated material, with synthetic leather at both ends and silver coloured buckle. 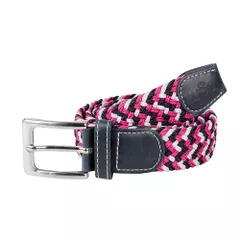 Child width is 2.5cm (0.9in).